INVITE, through its OI2 Lab and in cooperation with The OI2Lab, the North East Automotive Alliance and Cluster initiative Automotive Region Stuttgart(CARS), invites proposals for mobile technologies that allow professional users, (e.g. operators, inspectors) to register new observations (positive or negative) in a digital manner. The solution will support decision making for preventing similar future incidents. How can we digitalize the recording of manufacturing defects and incidents? We are seeking innovative digital solutions for rapid recording and analysis of incidents in professional environments such as manufacturing sites or production facilities. The solution must be developed jointly with a transnational partner. A grant of €5,000 will be awarded to twenty of the participating applicants. The modern manufacturing plant is a high pressure, fast moving environment, with the expectation that everything works precisely as it should, when it’s supposed to. While this isn’t always the case, manufacturers, particularly in the automotive sector continuously strive for perfection, and are constantly looking at ways to improve. A key part of this improvement process is monitoring any defects and working to establish any patterns or trends. Currently this is done by the production operator simply recording on a form when any defects occur along with some details of the defect. This could be noting any instances when a certain part is missing or incorrectly placed, or if there are marks or scratches present on a surface. This is then collated by the production supervisor who typically enters the data into a database ready for further analysis. - In an environment where ‘every second counts’, even taking ten seconds to fill in a form can be a distraction for the operator. - The paper based form can be easily damaged, torn or misplaced. - The data needs to be entered by hand from the paper form onto the database, which introduces the chance of mistakes. In order to solve some of these problems, we are seeking to develop reporting tools/apps that run on mobile electronic devices and which enable factory operators, inspectors or other professionals to record their observations in a user-defined format. In case of the automotive industry, the app/solution is intended to be used during periods when new parts are introduced, processes are changed, there are intermittent facility issues or when there is a heightened focus on quality.  reduced time to collate & analyse the data after the observation period has ended. Figure 1: Examples of the app’s functionalities running on a mobile electronic device.  Administrator defines failure mode types.  The user clicks to register when that fault type is observed.  The user has an option to add additional info (VIN, serial number, etc)  Time stamp requirement for reporting & traceability. The dashboard format is then locked by the administrator and the app is run in “user” mode allowing the operator or inspector to input data without changing the format of the log file. At the end of the observation period the collected data is transferred to a PC, storage location or into a central reporting system database for further analysis.  Minimizing the amount of actions that need to be carried out: The factory environment is fast moving with little time for unnecessary (non-value-added) activities.  Usable when wearing safety equipment, including gloves and ear defenders.  User-friendly: There is a wide range of operator and inspector IT skill level.  No guarantee of Wi-Fi coverage.  Have an innovative feature /addon which significantly adds value to the solution e.g. PLEASE NOTE: We are looking for solutions that still require additional development (TRL6-9) enabled by external, transnational expertise. The selected voucher winners will be supported by the OI2Lab with finding a European cross-border partner who should enable you to develop your proposed concept or solution. The eligibility of the proposal and the applicant(s) will be checked (e.g. organization type, TRL, organizations location). More details are available in the Guide for applicants.  Team experience: Internal expertise and skillset; Team’s Open Innovation project expectations; Budget breakdown; Workplan. NOTE: The 5 pages long proposal must be a stand-on-its-own document and will be evaluated by the Evaluation panel. Additional information, i.e. added in the attachment, solely serves to support claims made in the 5 pager. Application preparation: All SMEs interested in participating in the open call should use the application form and templates available on the web site https://oi2lab.com/#/opportunities/open-calls to prepare their application. Applications must be fulfilled in English. All SMEs interested in participating in the open call should submit their application through the electronic application available at the OI2Lab open call page. A response button will redirect you to the electronic application form. To ensure no ethical issues should be considered in your proposal, a specific box will need to be checked during the application. Applications signed by legal representative of the applicant SME will be electronically submitted only via the application form accessible at https://oi2lab.com/#/opportunities/open-calls until the 24th April 2018 17.00 Brussels time. Once your proposal is submitted and validated, a confirmation email will be sent to the applicant’s email address to acknowledge the application submission.  Define the expected environmental/ social impact at European/Global level.  Include a short work-plan setting timelines and milestones describing the development/elaboration stage between announcement of finalists on May 15 and reporting period at the end of August (maximum).  Declaration of honour duly signed. The applicants must certify that all information provided is correct. They must also be completely committed to participate in the project that they are submitting and comply with the eligibility criteria. The declaration of honour states also that this very same project proposal does not receive funds elsewhere.  The applicants need to provide their complete application, as specified in the Guide for Applicants.  All elements of the application must be submitted in English and must be completed by containing all requested elements specified in the Guide for Applicants. The uncomplete proposals will not be taken into consideration.  In case two or more applications describing the same solution are submitted to a given challenge by the same Applicant, only the last one will be taken into consideration.  Late submissions will not be accepted. In case both applications are describing a different solution, only the proposal that has achieved the highest ranking during the evaluation process may be awarded with a voucher.  Applications which contravenes ethical principles or any applicable legislation, or which does not fulfil the conditions set out in Decision No 2013/743/EU, in the work programme, in the open call may be excluded from the evaluation, selection and award procedures at any time.  INVITE will first assess completeness of documentation submitted by all applicants (i.e. Application form and declaration of honour.  20 winners will each receive a € 5000 innovation voucher. The aim of the vouchers is to initiate and facilitate European, transnational collaborations. This collaboration may lead to the further development of the proposed solution.  Voucher winners will be given access to the various digital tools offered by the OI2Lab platform, i.e. the online collaboration space, e-learning environment with practical information on how to engage in Open Innovation, access to crowdfunding tools and a open multisided market place with match-making engine.  The Intellectual property stays yours. INVITE is set on co-creating a well-connected European Open Innovation (OI) ecosystem in which knowledge meaningfully flows across borders and is translated into marketable innovations. To this end, a pan-European service platform, the Open Innovation 2.0 Lab (OI2Lab), has been co-designed and implemented under the framework of INVITE with a view to: better linking the currently fragmented innovation systems of the EU; empowering EU businesses with the skill-sets required to tap into Europe’s knowledge-base and turn it into value; and increasing the participation of private investors in OI and collaborative innovation projects. 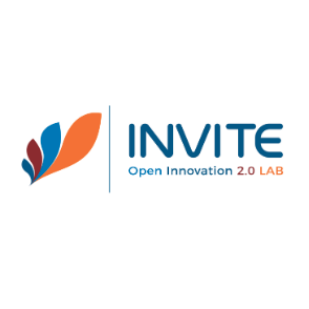 The OI2Lab along with its services and digital tools will now be put to the test and validated in the context of INVITE’s open call, which is being deployed within a real-life setting. Within this framework, INVITE, North East Automotive Alliance and Cluster initiative Automotive Region Stuttgart (CARS) are encouraging SME’s and entrepreneurs to participate in the challenge-driven open call “Mobile Technologies for Rapid Event Recording and Analysis” and to submit proposals. When selected, the applicants will receive a 5000€ voucher and will be allocated an account manager and, if required, an OI advisor. They will assist the voucher winner with identifying, connecting and maintaining contact with a suitable partner who will enable the further development of the proposed solution. If the voucher winning applicant is based in the North East region in the UK or the Stuttgart region in Germany, then the suitable partner of the collaboration (that needs to be found and contacted within 4 months following the announcement of the voucher winners) can be based in any eligible country, as long as it is not the same country as the applicant. If the voucher winning applicant is not based in the North East region in the UK or the Stuttgart region in Germany, then the applicant will need to find a suitable partner who is based in the North East region in the UK or the Stuttgart region in Germany. This means that within this voucher scheme in each collaboration, one partner (either the voucher winning applicant or the suitable partner) will be based in the North East region in the UK or the Stuttgart region in Germany, while the other partner will be from another eligible country. The vouchers should be used to initiate contact and purchase a service from the identified company with the aim to continue the development of the proposed solution.